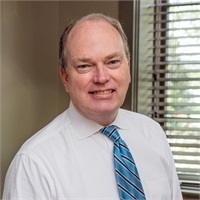 Larry Anderson | Vision Financial Group, Inc.
Larry is a 1976 graduate of Auburn University with a B.S. degree in Finance. He has over 20 years experience in the real estate, banking and mortgage lending industries. He completed formal bank credit training at Compass Bank and has worked for Wells Fargo and AmSouth Mortgage companies. He also has extensive experience in commercial real estate lending and administration. Larry is active in his community and currently serves as president of the Meadowbrook Homeowner’s Association. He has also been active with the Boy Scouts, having attained the rank of Eagle himself. He has served on the East District Trustees of the United Methodist Church. Larry and his wife, Jan, are charter members of Asbury United Methodist Church where he has served in numerous capacities including chair of the finance committee during a critical growth phase of the church which lead to the development of the current location of the church. They have 3 children: Will, Clay, and Abby. Distance running and golf are among Larry’s outdoor activities. He has completed the Chicago Marathon twice and 8 half marathons at current count. He is eagerly anticipating his first hole-in-one. Please be advised that Larry Anderson presently holds Series 7 and 66 licenses and is registered in the states of AL, GA, FL, LA, NY, TX, and VA. For residents of other states, proper licenses and registrations must be obtained by Mr. Anderson before proceeding further. Investment advisory services offered through Investment Advisors, a division of ProEquities, Inc., a Registered Investment Advisor. Securities offered through ProEquities Inc., a registered broker-dealer and member of FINRA and SIPC. Vision Financial Group, Inc. and West Alabama Bank are independent of ProEquities, Inc. Securities and insurance products offered are not bank deposits, have no bank guarantee, are not FDIC insured, and may lose value.